It's been twenty years since the completion of the Vampire Chronicles, twenty years since Lestat brought his last fledgling, Mona Mayfair, into the blood and then retreated to the seclusion of his family home in the French Auvergne. Now however, an evil presence has awakened, drawing the ancient ones from their long, dark slumber beneath the earth and inciting them to violence against their own kind. Vampires the world over are being hunted; it seems as if none are safe. As the radio ambassador to the Vampire community, Benji Mahmoud begs for the ancient ones to come forth and offer their assistance, for one to act as leader to their Undead tribe and provide a unified front against this malevolent Voice which can speak directly to ones consciousness. Lestat, while not quite a Child of the Millennia, has long been looked upon as the Brat Prince of Vampire kind, and as such is also implored by Benji to make himself known and come to their aid as well. But Lestat wants no part of this, his days in the limelight are done, and he'd much prefer to simply be left to his solitude to finish the meticulous restoration of his remote family estate. But the Voice is not to be silenced, and as it continues its violent rampage, the Vampires realize Benji is correct, and if they have any hope of quieting this Voice, and getting out of this intact, they must join together as one. 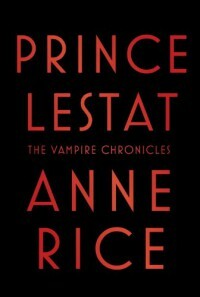 If you didn't read the previous Vampire Chronicle books, you may not appreciate Prince Lestat all that much, not really recognizing most of the characters referenced throughout. Granted there is an appendix with characters and their chronology, but I found that more of a refresher for previous readers as opposed to a suitable introduction for new readers. But to keep things interesting all the same, there are a few new characters introduced that didn't appear in previous books. My only criticism is that there were several parts of the book, especially in the middle, than the character's inner dialogue became a bit excessive and repetitive, like they were just droning on about a particular subject ad nauseum, i.e. how wonderful Lestat is, and I found my mind wandering during those times. This was probably the primary reason I didn't award it full stars. This 458 page book could have easily been 300 something just by eliminating a lot of the repetitiveness and babbling. I also found it odd that while references to past events were scattered throughout the book, the most recent tales of the Mayfairs and the Taltos that took place in Blood Canticle were strangely absent. Perhaps due to the harsh criticism that book received, Ms. Rice decided to just act like it never happened. *shrug* Fortunately, its dismissal didn't really affect the current story in the least. I think fans of the previous books will definitely enjoy this one, to find out where all the characters are at now, and what's changed for them over the last 20 years. Those who didn't already read the Vampire Chronicles may want to pass this one by for now.